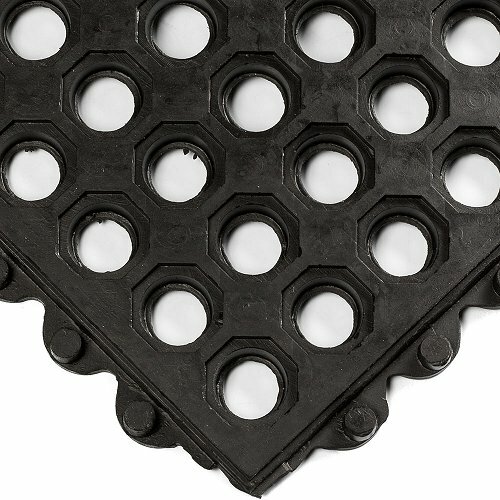 900mm x 900mm squares that click together to make any shape these mats are also Nitrile making them grease proof and resistant to most chemicals. This mat is great for winding assembly lines as you can change course and keep going. 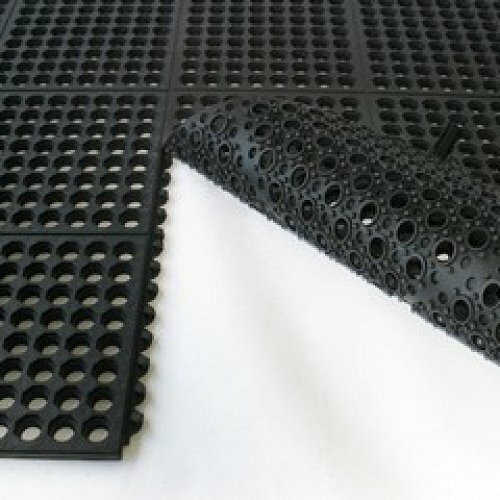 Also as this mat has holes any fluids can drain away. This matting comes with ramps in black and yellow so there are no trips or falls. As this mat is 16mm thick it is not only spongy and durable but heavy enough not to lift off the floor.